I imagine myself as a cancer physician during the time of our country's independence - 1965. Breast cancer was thought of as a localised disease and the dogma of the day called for drastic surgery to deliver a cure. Radical surgery, pioneered by Dr W. S. Halsted before World War I, was still practised. Women underwent mutilating surgery - not only was the diseased breast removed entirely, out came the pectoral muscles of the chest wall as well as the entire axillary content under the armpit. Yet, after such mutilation, fewer than two out of 10 women with breast cancer were cured of their disease long-term. "Why not be more radical?" we doctors thought to ourselves. This started the shift towards radical surgery which included the removal of structures under the rib cage. If there ever was a period of extremist fervour in medical history, this must have been it. I imagine myself as a cancer physician the year Changi Airport was built - 1981. Dr Bernard Fisher propagated a new dogma: that breast cancer is a whole-body, not local, disease from the get-go. And radical surgery was a fool's errand. We finally stopped falling over ourselves to "out-radicalise" one another. A whole-body disease required a whole-body solution. We moved to a more scientific method of delivering chemotherapy and endocrine therapy after surgery to mop up breast cancer cells potentially lodged in all body sites. In a stepwise fashion, chemotherapy became progressively more refined and efficacious, yielding incremental improvement in cure rates of early breast cancer. The theory of the role played by oestrogen in breast cancer was beginning to see the light of day. The search for a drug to block the binding of oestrogen to the surface receptor of the cancer cell was on. Tamoxifen, a failed contraceptive drug, was retrieved from the trash can and proven to improve cure rates of early breast cancer. If there ever was a great success story of "recycling" in medical history, this must have been it. Tamoxifen stood the test of time and remains a pillar of breast cancer treatment today, as did Changi Airport, remaining the region's premium air hub. I imagine myself as a cancer physician during the time of Singapore's transition from the first- to second-generation leadership - 1990. This was also a time of significant transition in breast cancer treatment. Instead of removing as much as possible, the pendulum now swung towards leaving most of the breast and axillary lymph nodes in the armpit alone. Study after study showed that removing the whole breast made not one iota of difference to long-term survival versus removing just the malignant tumour followed by radiotherapy. Breast-conserving treatment preserved more than just the breast. It also preserved the aesthetics of post-cancer surgery and the psychological well-being of the cancer patient. I imagine, no, I recall myself as a cancer physician when Parliament made the historic decision to grant the first casino licences to two integrated resorts in Singapore - 2005. This was the year that early breast cancer treatment drew a poker full house. The smart drug, trastuzumab, first proved its ability to reduce the relapse rate in a sub-group of early breast cancer by a whopping 50 per cent. Targeted therapy (smart drugs) had previously been shown to prolong survival in metastatic breast cancer. To demonstrate the potential of increasing the cure rate of early breast cancer was a game changer. From a poker full house, our hand had improved to a royal flush. SG50 in 2015 saw dual targeted therapy improve the survival of those with advanced breast cancer described as "HER2 positive" to close to five years. What had in the past been dismissively labelled as a terminal medical condition had achieved unprecedented survival. I imagine myself as a cancer physician during the time when our planned MRT network is finally complete - 2030. 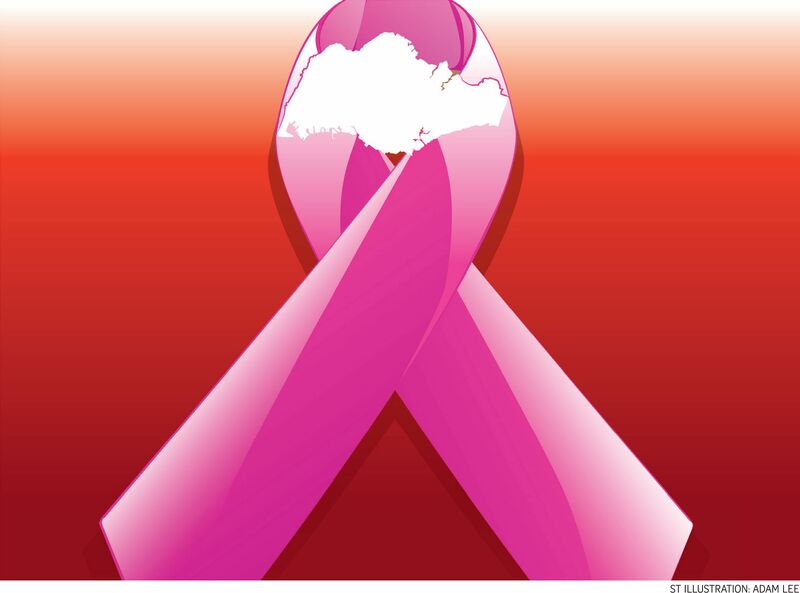 Just as we can reach our destinations by train to any location in Singapore, advanced breast cancer can also be reached and controlled by advanced immunotherapy and targeted therapy, regardless of where the cancer has spread. Much like diabetes today, though not completely curable, advanced breast cancer can be successfully kept under control, allowing good or near-normal quality of life to go on. Finally, I imagine myself as a retired cancer physician in 2050. By then, breast cancer, both in early and advanced forms, will be eminently curable.